We have to say, this year’s Tiree Music Festival (TMF) was no doubt the largest success of the event so far! Attendance was in record amounts , as was the sunshine and temperatures! Cloudless skies and unseasonably warm weather made the festival a rip roaring success. The campsite was busier than it’s ever been as for one week only, the population of the island tripled! The music was world class and very entertaining. 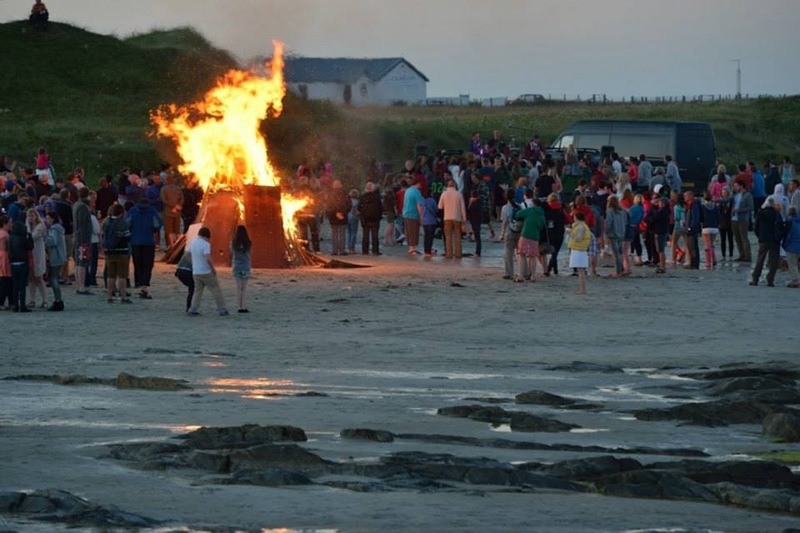 In the evenings, as the sun dipped, the party continued on the nearby beach at Crossapol, leaving many visitors with wonderful memories and new friends. The festival is an annual event and will take place at An Talla community Hall again next year, towards the end of July. It’s something you need to see for yourself. We leave you with this short video which certainly captures the style of music and the party atmosphere! « Struthan Cottage Website Success!